On November 6, 2014 poster artist/attorney (and TRPS board member) Nels Jacobson spoke to a group of Texas attorneys on the art business of rock and roll. 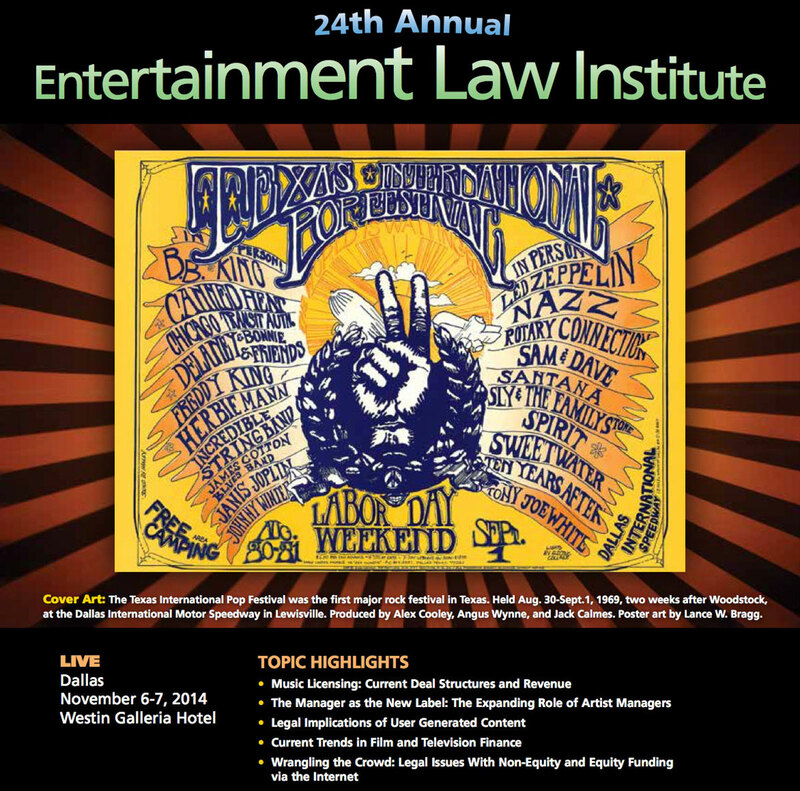 His speech “Art of Rock and Roll” was part of the 24th Annual Entertainment Law Institute in Dallas. Posters from the Family Dog, the Fillmore, and various Texas venues were among those used to illustrate legal concepts such as copyright, trademark, right of publicity, infringement, and fair use. 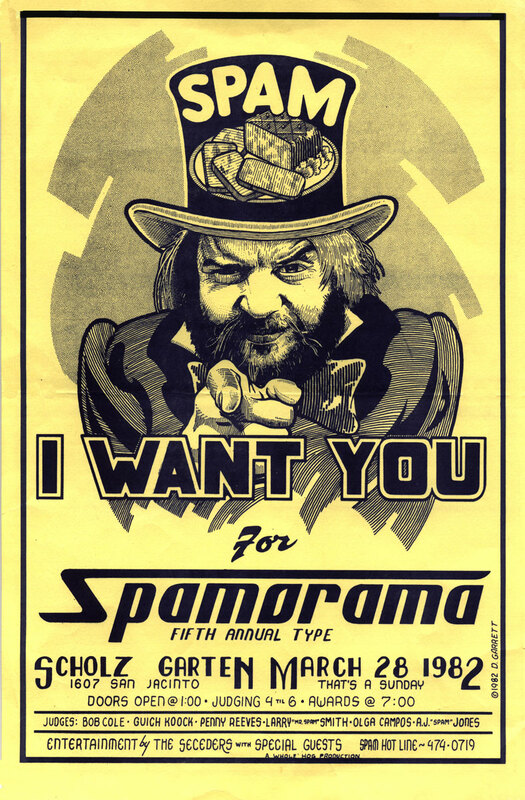 Popularly known as “Uncle Spam,” this Danny Garrett poster is a portrait of Spamarama organizer David Arnsberger. © 1982 Danny Garrett. The paper Nels prepared to accompany his presentation in the course materials is downloadable below as a pdf file for those interested. After The Wittliff Collections’ Homegrown Austin Music Posters, 1967-1982 reception on March 1, 2015 in San Marcos, Nels will be moderating a poster discussion with artists Kerry Awn, Jim Franklin, Danny Garrett, and Micael Priest. This is a free event. Judie McConway liked this on Facebook. Robert M Bray liked this on Facebook. Kilgore Tuna liked this on Facebook. Sammy Kotanidou Englezos liked this on Facebook. Jimmy Rios liked this on Facebook. Rich Aguirre liked this on Facebook. Dane Bramage liked this on Facebook.